Bernhard Tauchnitz prided himself on the relationships that he had with many of the leading British authors of his time. 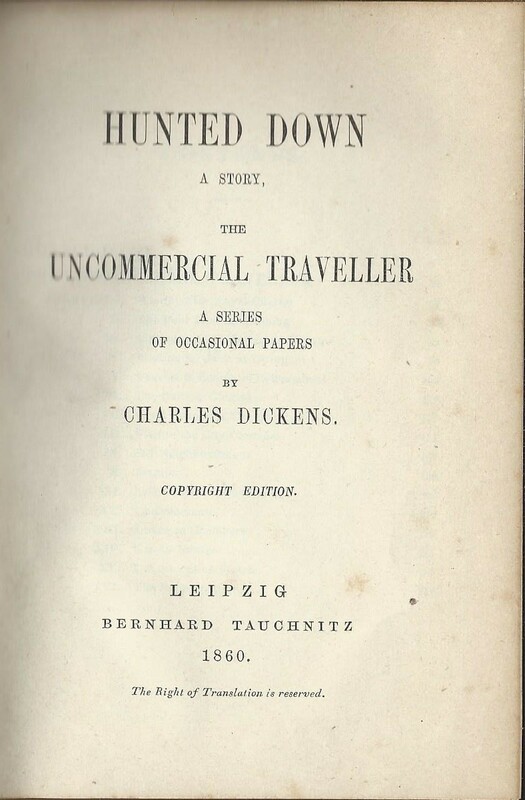 His relationship with Charles Dickens for instance was based on friendship, trust and loyalty, and almost all of Dickens’ works were published by the firm. Other authors may not have been quite so loyal, and many were tempted away to one or other of the competitors that sprung up from time to time in the European market. As most of these competitors were relatively short-lived, the authors often returned later to Tauchnitz, perhaps a little shame-facedly. The First World War however brought a new situation, with Tauchnitz unable to publish new works by British authors and two major new series starting up in Paris. The authors who submitted their latest works to either the Nelson’s Continental Library or The Standard Collection from Louis Conard, could hardly be accused of lack of loyalty in wartime, although it’s interesting to note that George Bernard Shaw was not among them, and was back with Tauchnitz by 1919. 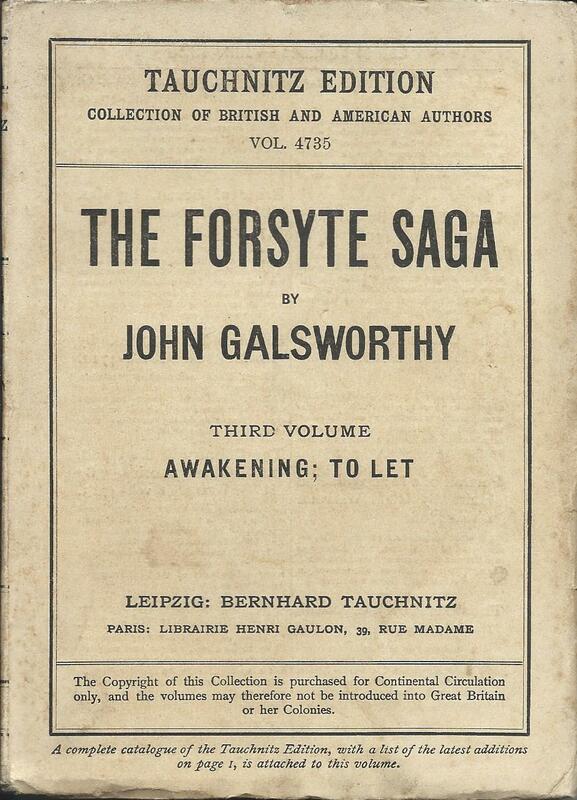 Amongst the authors though who did jump ship was John Galsworthy and it’s worth looking at his behaviour in the light of his later role in changes that had a significant effect on Tauchnitz. 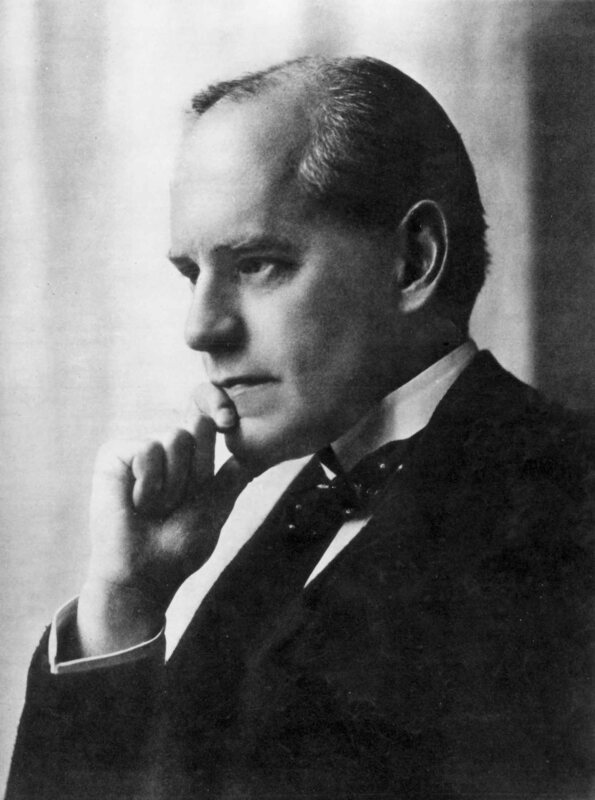 At the peak of his fame, John Galsworthy was a literary giant. He had honorary degrees from a string of universities, was awarded the Order of Merit in 1929, after earlier turning down a knighthood, and won the Nobel Prize for literature in 1932. He was known for his plays as well as his novels and both enjoyed enormous commercial as well as critical success. The critical reputation has not really survived and I’ve never seen any of his plays being revived, but his novels in ‘The Forsyte Saga’ are still popular, at least amongst television producers. So it’s no surprise to see him with a long list of publications in Tauchnitz. It took a while for Tauchnitz to identify him as an author deserving a place in their series. He already had several successful works to his name before he got his first Tauchnitz publication with ‘Man of Property’ in 1909. After that though they came rapidly, and by the time war broke out in 1914, there would have been a row of 12 Tauchnitz Galsworthys on his shelf. 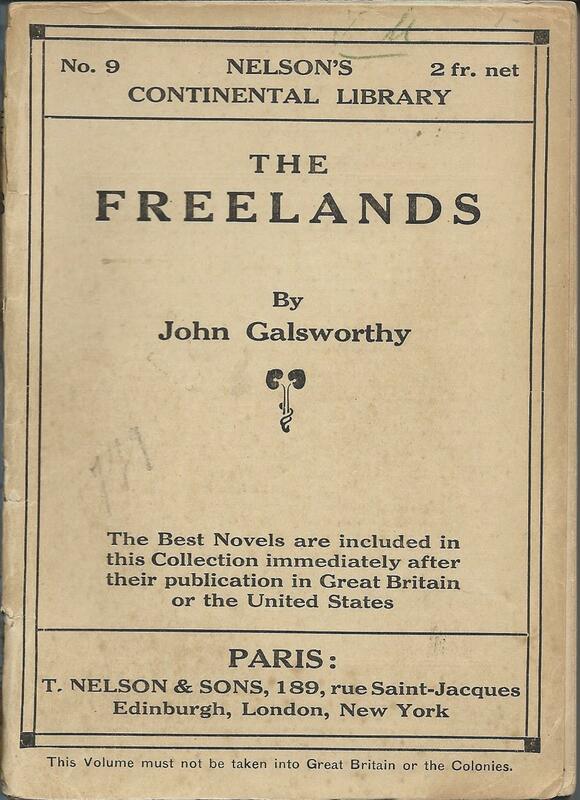 He was then quick to seek alternative publishers and his novel ‘The Freelands’ was in the first batch of titles issued in the Nelsons Continental Library in 1915, before he moved again to have ‘The little man’ published in Conard’s ‘Standard Collection’ in 1916. This was followed by four other volumes in this series, but in 1920 he offered a new collection of plays first to Conard, and only later to Tauchnitz, who published it as ‘A bit o’love and other plays’. Todd & Bowden seem to suggest that the prior offer to Conard was because of contractual obligations, which he was then able to free himself from, in order to return to Tauchnitz. I’m not sure how this fits though with his subsequent decision to withhold from Tauchnitz the next two volumes of the Forsyte saga. 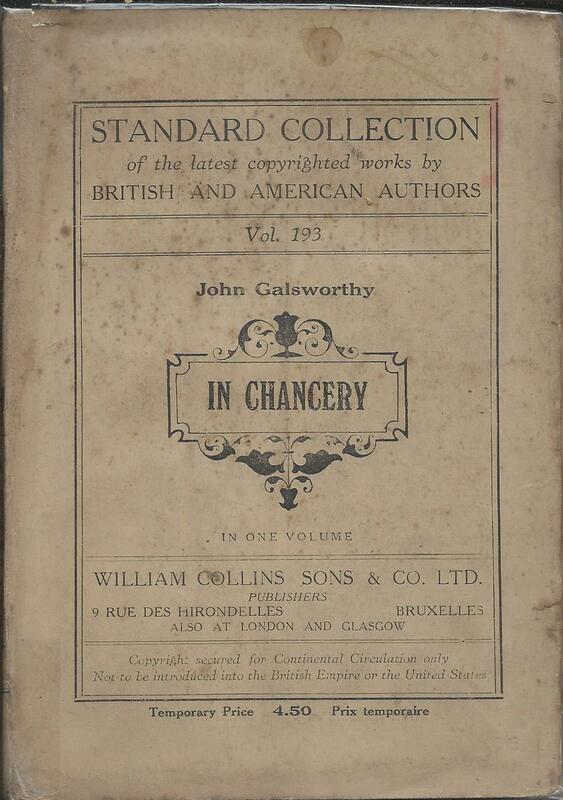 ‘In chancery’ and ‘To let’ were published instead in the Standard Collection in 1921 and 1922, now run by Collins rather than Conard. 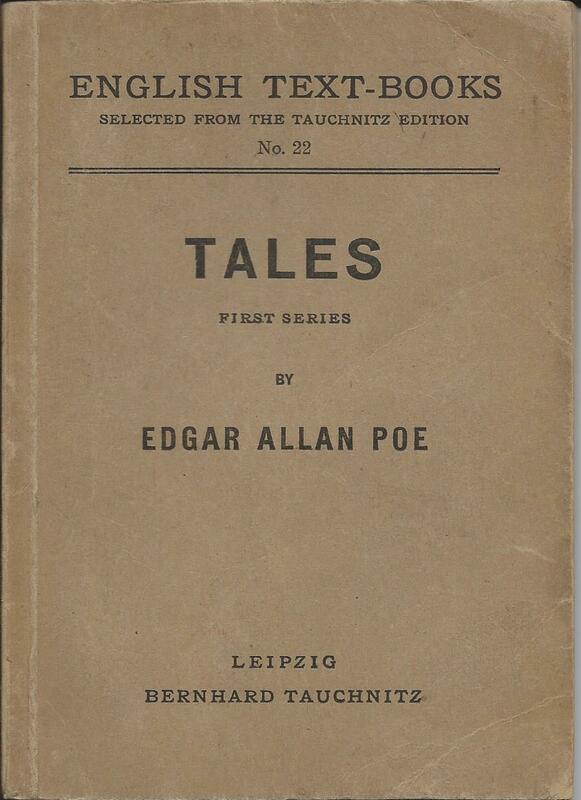 By 1923 this series had ended and he was back again with Tauchnitz. 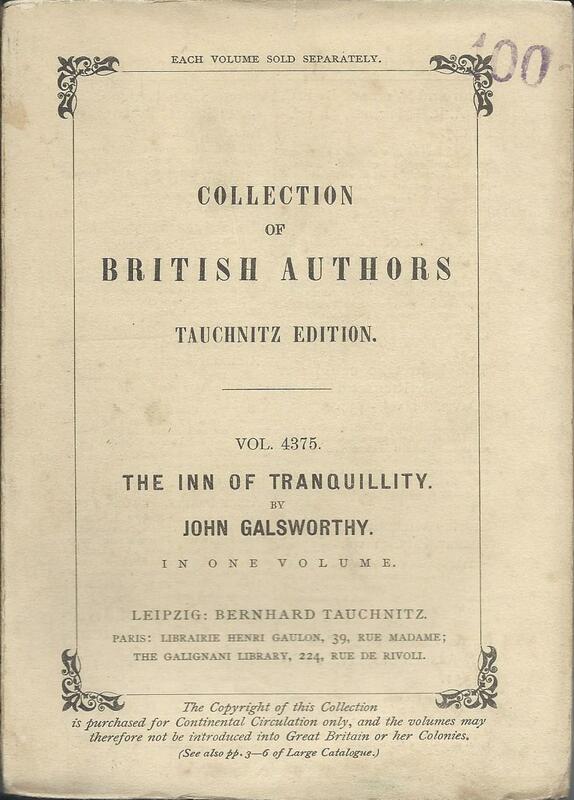 From then on Galsworthy stayed with Tauchnitz and the number of titles continued to grow, although he never seemed to be quite comfortable with them. Corresponding through his literary agent, he was always forthright. 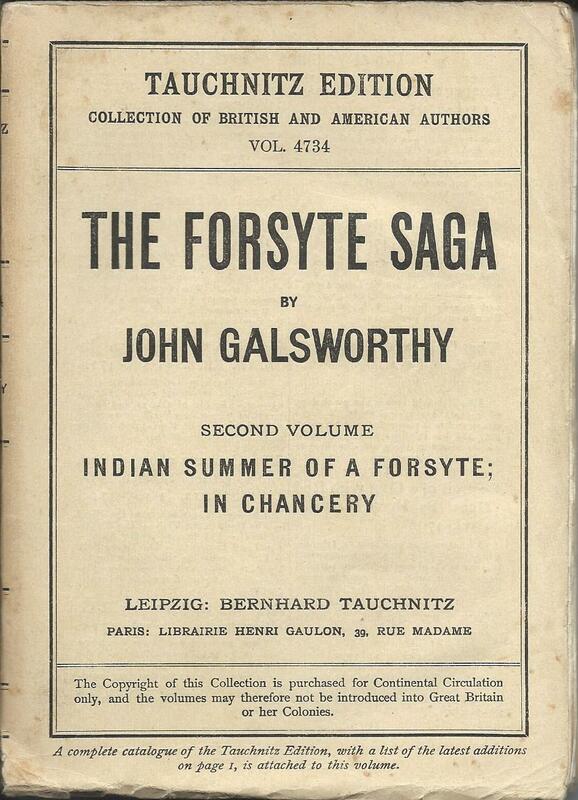 By March 1926, perhaps regretting his decision to publish elsewhere, he was pushing Tauchnitz to issue a combined edition of The Forsyte Saga, which they did in volumes 4733 to 4735. ‘In chancery’ and ‘To let’ were new to Tauchnitz, but ‘A man of property’ was already in the series and I can’t think of any other instance where the same book on its own was republished in the series under a different number. At the same time he was pushing Tauchnitz for higher payments, with some success, and complaining that in his foreign travels, he had not seen enough of his books on the shelf. By September though a more significant issue was being raised. 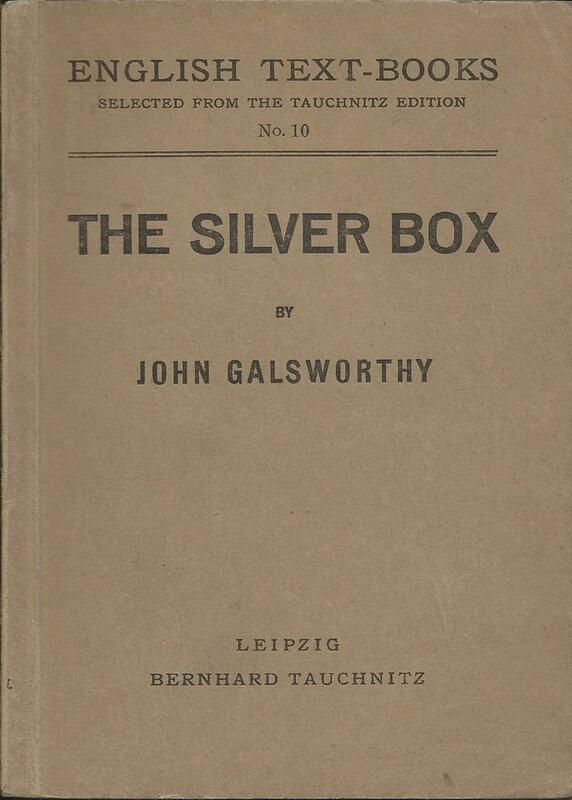 After his agent had already sent the text of ‘The silver spoon’ to Tauchnitz for publication, Galsworthy intervened to insist on a year’s delay before the book was issued. He was concerned to allow sufficient time for his British publishers to sell their higher-priced hardback edition in Europe before permitting a paperback edition. The same proposal was then raised with the Society of Authors, who agreed that the year’s delay should apply to all works. This significantly undermined the position of Tauchnitz, who saw near simultaneous publication as essential to their success. It was one of many factors that weakened the firm throughout the 1920s, although it should be said that it was later no barrier to the success of Albatross. 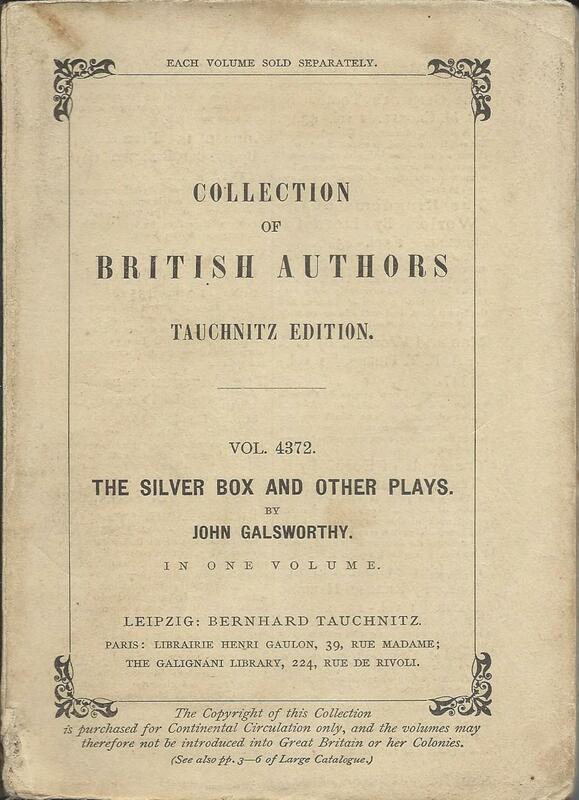 By the time of his death in 1933, Galsworthy had some 28 volumes to his name in the main Tauchnitz series, and extracts from them had also been published in the Tauchnitz Pocket Library and the Students Series. 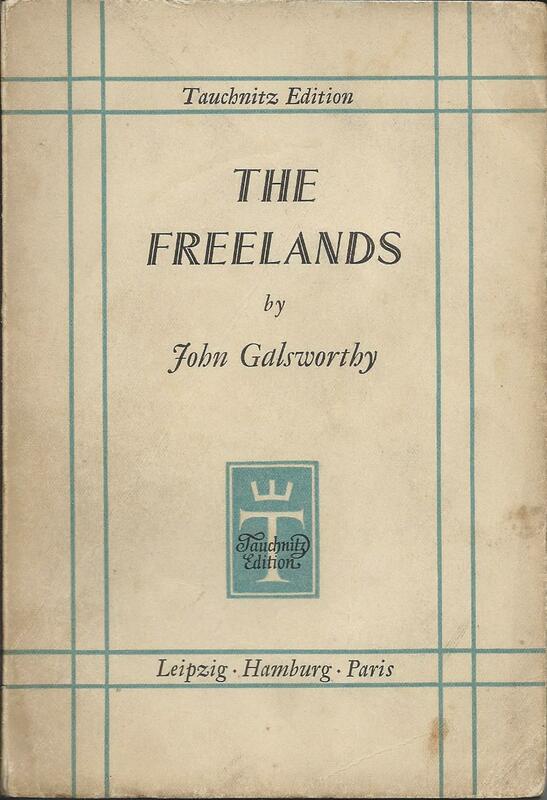 Further volumes were published throughout the 1930s including ‘The Freelands’, the first novel he had taken elsewhere, so that by the time the series ended, it featured almost all of Galsworthy’s works, even those he had originally withheld from Tauchnitz. Maybe Tauchnitz had the last laugh after all. Why was it Allen Lane and the Lane brothers, rather than William Collins and the Collins brothers, who launched Penguin Books and the paperback revolution in the UK? In a previous post I suggested that Collins, through their key role in Albatross, were in a much better position to see the way the wind was blowing. Before launching Penguin, Allen Lane had been in discussions with Albatross about a possible joint venture. As Directors of Albatross, William and Ian Collins would surely have been aware of those discussions,, and so knew the way Lane was thinking. They could hardly have been totally surprised when he went ahead with a paperback launch in the UK. Part of the answer seems to be that they did indeed see the market opportunity and had a strategy to exploit it, which would have seemed entirely reasonable at the time. It’s just that with hindsight their strategy turned out to be the wrong one. 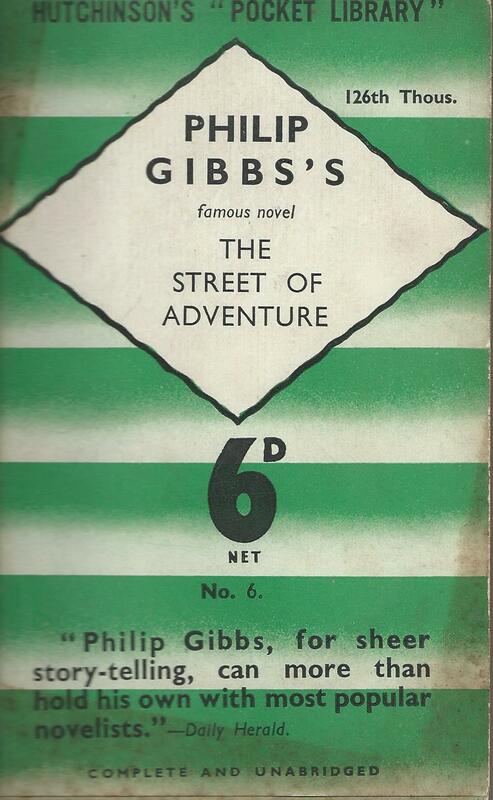 They had launched a new series of cheap hardbacks in 1934 called the Collins sevenpence novels. Sevenpence looks to be a very impressive price for a hardback, given that many new novels in hardback sold for more like seven shillings and sixpence at the time. 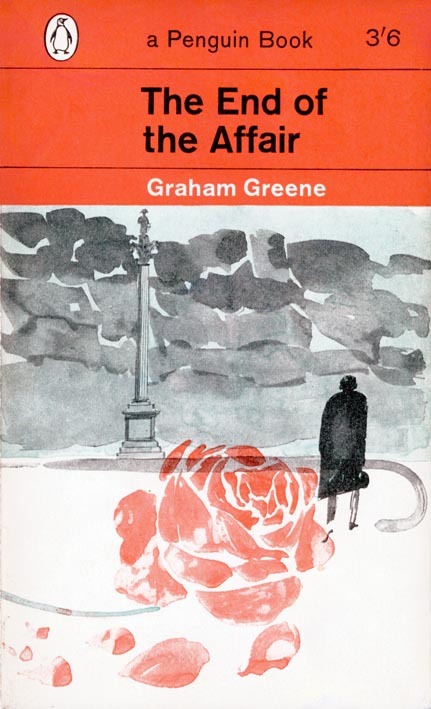 The list of titles in the series looks like a reasonable mix of popular fiction – novels from Somerset Maugham, Rose Macaulay and Michael Arlen, crime titles from Agatha Christie, John Rhode and G.D.H. 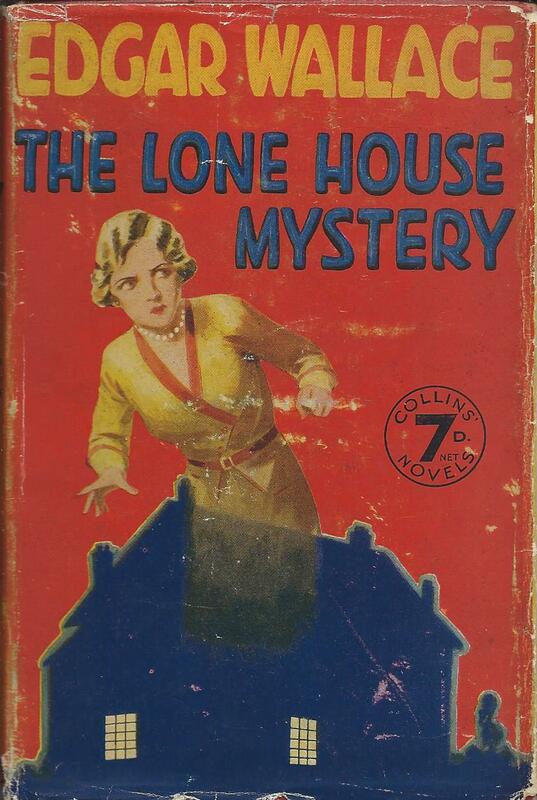 & M. Cole, mysteries from Edgar Wallace and a selection of westerns. Many of these same authors had already appeared in Albatross and would later appear in Penguin. Yet this series was completely blown away by the launch of Penguins a year later and Collins had to scramble to replace it with a new paperback series. So what went wrong? Why were paperbacks at sixpence such a success when hardbacks at sevenpence weren’t? Why did customers rush to buy Agatha Christie’s ‘The mysterious affair at Styles’ from Penguin, rather than Agatha Christie’s ‘The murder of Roger Ackroyd’ from Collins? Certainly it’s possible that Penguin got the price right and Collins just missed it. Sixpence was just one penny less, but it would have had a different feel to it, just as £1 now feels different from £1.20. Penguin may also have got the distribution right, famously selling through Woolworths as well as through bookshops. But the big difference seems to be the marketing, the brand and particularly the cover design, all elements that Penguin copied from Albatross. The Collins sevenpence novels had illustrated dustwrappers, designed to appeal to the mass market they were aiming for, rather than the typographical covers of Albatross, designed to appeal to the much more select group of people who would buy English books in continental Europe. The genius of Allen Lane seems to have been to realise that a mass market product didn’t have to look mass market. The same design principles could be applied to it as to a much more up-market product. 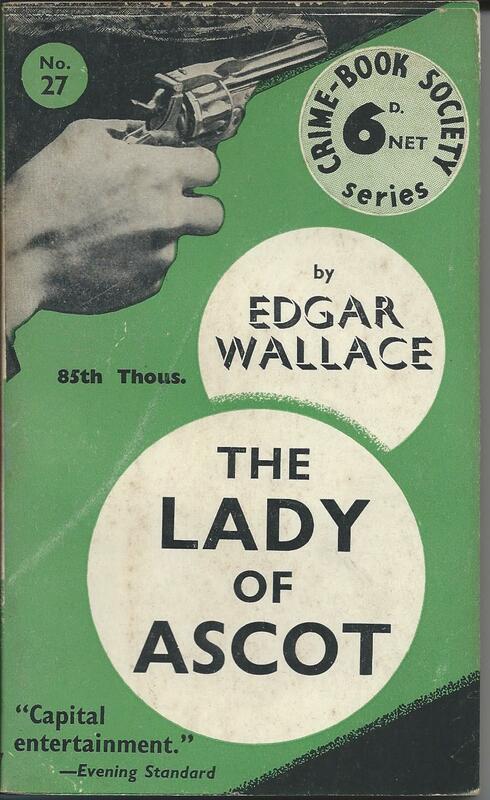 Customers might only be buying an Agatha Christie or a Michael Arlen novel, and might only be paying sixpence or sevenpence, but they wanted it to look like serious literature, not look trashy. That might seem obvious in retrospect, but at the time it would have been much less so. The strategy of Collins to sell hardbacks at sevenpence in bright dustwrappers would have seemed entirely reasonable and perhaps much more likely to succeed than Lane’s sober paperbacks at sixpence. It’s also worth remembering that Lane’s strategy was to some extent an anomaly in both historical and geographical terms. 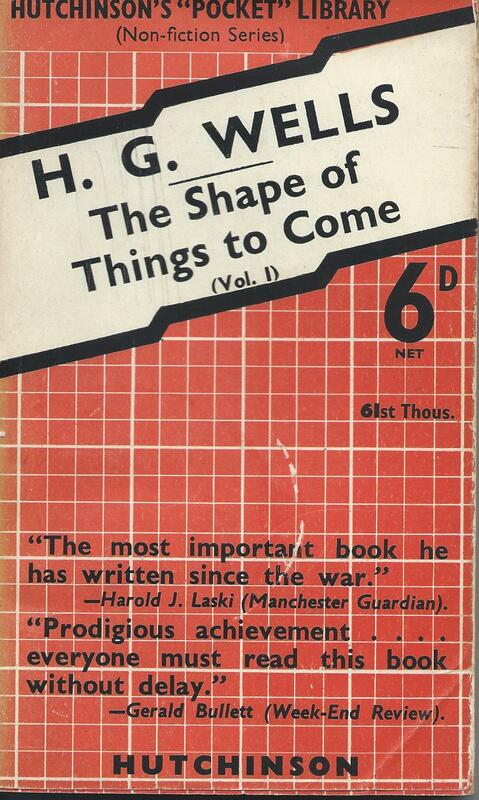 The US market never embraced soberly designed paperbacks, and the UK market has moved a long way away from them now, but in Britain, in 1935, that was the right strategy. Collins were just in the wrong place at the wrong time. Nelson were not the only publisher to try to take advantage of the enforced absence of Tauchnitz from at least part of the European market during the First World War. Louis Conard, another publisher in Paris, saw the opportunity too, and was quick to act. 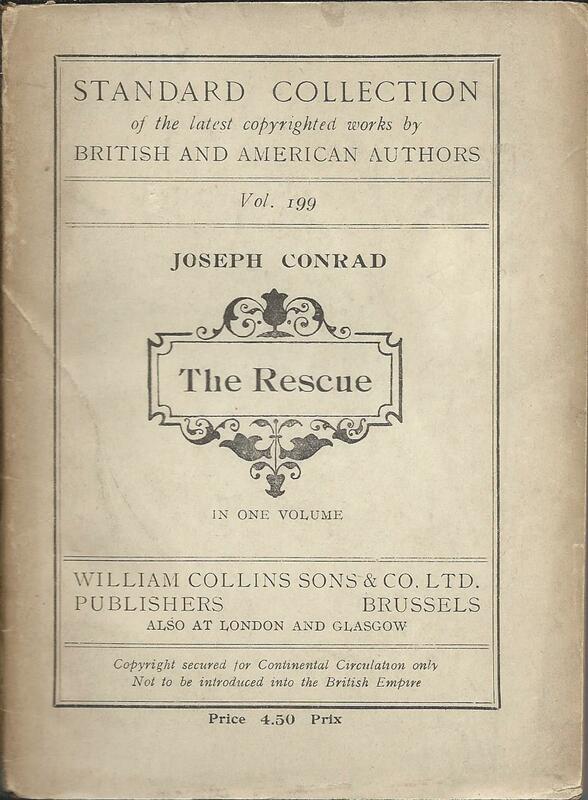 ‘The Standard Collection of latest copyrighted works by British and American Authors’ launched in 1915 with an impressive list of authors. The first 10 volumes included works by H.G. Wells, Joseph Conrad, Arnold Bennett, Sir Arthur Quiller-Couch and E.F. Benson, all of whom had previously been published by Tauchnitz. Later volumes included works by Kipling, Galsworthy, Conan Doyle, Rider Haggard, Katherine Mansfield and G.K. Chesterton, amongst others. As the Nelson’s Continental Library was launched at almost the same time, there must have been quite a scramble to sign up authors. Conard clearly modelled their series on Tauchnitz, as Nelson did. The books are the same shape, the same buff colour and the same price, at least to start with. In comparison with Tauchnitz, their market would have been restricted geographically, but did the war itself create a new market? Over 5 million British soldiers served in France and Flanders during the war. They would have had little opportunity to visit bookshops, but it seems possible that at least some of these volumes might have found their way into battledress pockets. By the end of the war the series had extended to over 100 volumes. The price had risen steadily to 3.50 Francs by 1919 although this was described as a temporary price, and the quality of the paper had declined. Conard persisted though and by 1920 was heading towards 200 volumes, as Nelson, with fewer than 100, was winding its series down. The market dynamics were inevitably changing with the end of the war and the return of Tauchnitz to the market, and Conard too decided to move on. This though was not the end of The Standard Collection. Some time around 1920, the series was taken on by the Scottish publisher William Collins Sons & Co. Ltd. from a base in Brussels, and the price increased again to 4.50 Francs. They continued it for another 2 years or so, and up to at least 230 volumes, before finally ending it. The last volume I have seen is G.K. Chesterton’s ‘Eugenics and other evils’ published in 1922. 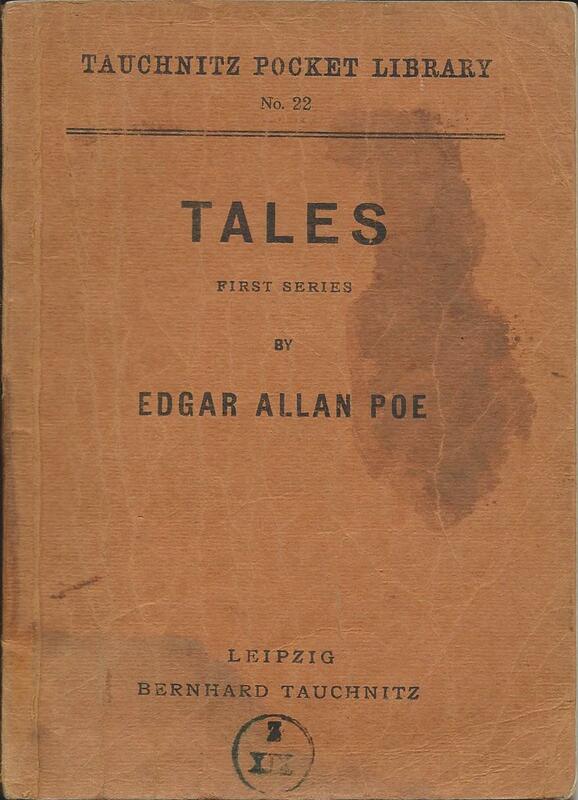 This is also the only volume I have seen with an illustrated dustwrapper, following the example of the Nelson series, although it is quite possible that there are many others. This is the second in what I intend to be a series of posts about the publishers in competition to Tauchnitz. I looked at Thomas Nelson a few days ago. Louis Conard and William Collins Sons represent competitors two and three. When your whole business is based on the cultural links between two countries, and hostilities then break out between them, you’re in a difficult position. It can’t be easy at the moment to sell Russian folk music in Kiev. So imagine how Tauchnitz must have felt at the outbreak of war between Britain and Germany a hundred years ago. For over 70 years the firm had been publishing English literature in Germany and selling their books across the European continent. 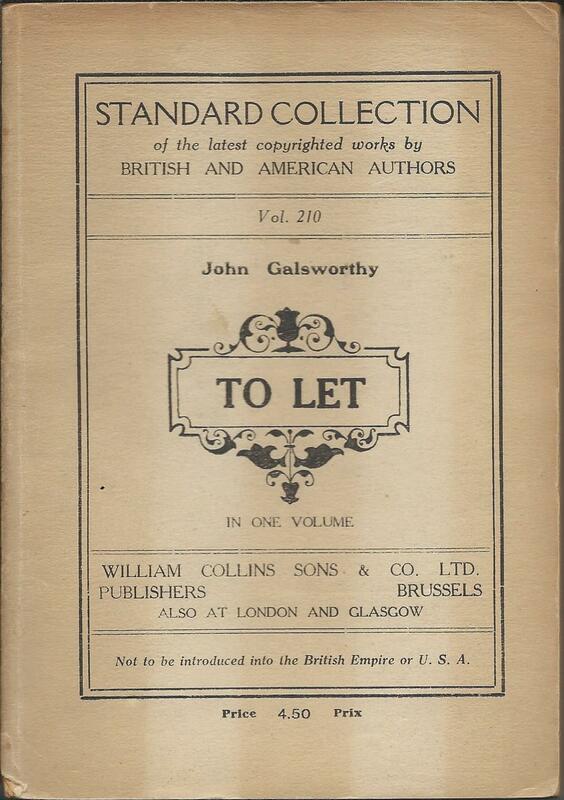 A large part of their market, including selling to British and American travellers, disappeared more or less immediately and their basic product, contemporary English literature, became unacceptable to the censor. Like any business in wartime they would also have faced many practical difficulties, including the loss of a large part of their staff. From publishing at the rate of around 6 volumes a month up to August 1914, they were reduced to a total of 20 volumes in their main series between September 1914 and December 1918. And yet somehow Tauchnitz survived. They may never have quite recovered their pre-war strength, but there were many reasons for that and arguably the signs of decline were evident even before the outbreak of war. That they survived at all was due partly to a series known originally as ‘English Text-Books’ and later as the Tauchnitz Pocket Library. It may have been born out of desperation, and was one of the least attractive of their products, but it may also have been one of the most important. 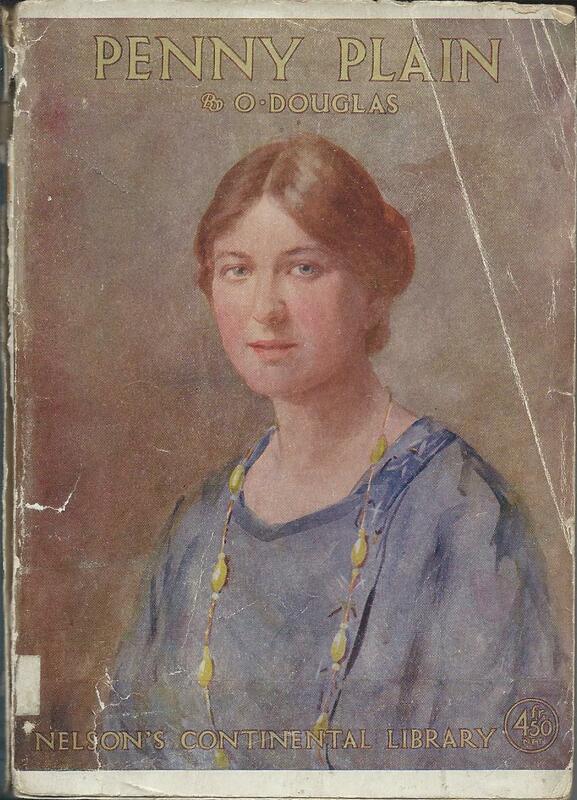 The series started life in 1916 as ‘English Text-Books – selected from the Tauchnitz Edition’ – a description perhaps chosen for political reasons, although the books don’t appear to have been aimed particularly at schools. In practice they were all parts of books previously published, and even printed from the original plates with the original page numbering. Most were relatively slim volumes, typically 100 to 150 pages in drab covers, and sold for around 90 pfennigs, just under 1 Mark. The first selection consisted of 38 volumes, followed later in 1916 by a further 40 titles, with the series title now altered to ‘Tauchnitz Pocket Library’. 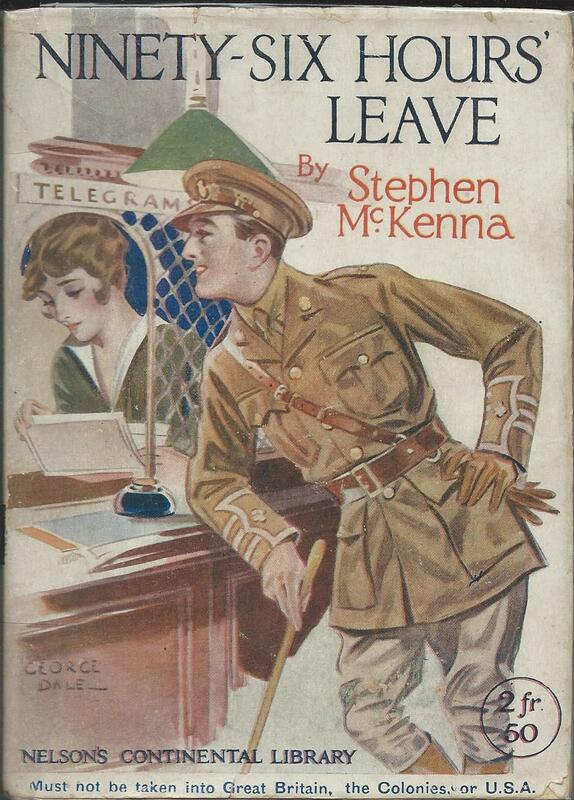 A lot of the first 38 were also reprinted either at this stage, or possibly in 1917, with the new series title. 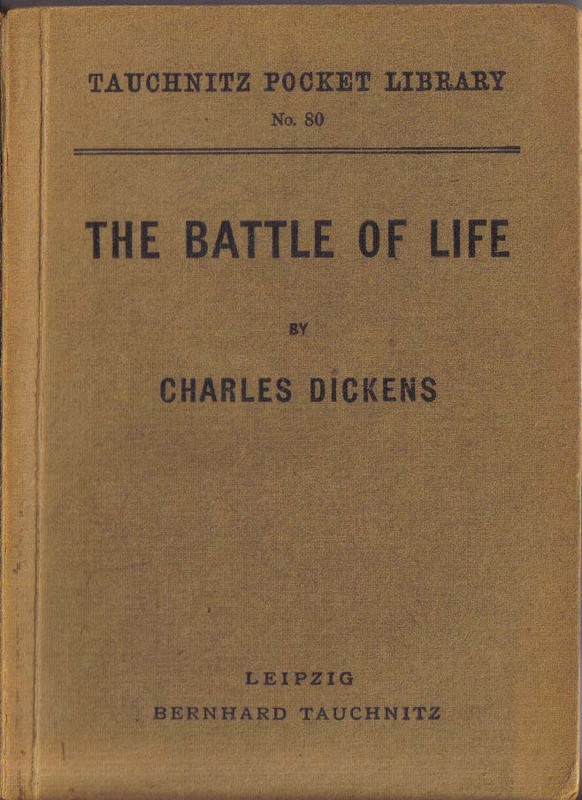 A final 11 volumes taking the series total up to 89, were published in 1918 and again earlier titles were then reprinted, distinguishable as reprints only by the rear cover listing all 89 titles rather than just the first 78. They’re not easy to find now, particularly in first printing, and they are poorly represented in most Tauchnitz collections, although there is a full collection of them in the Deutsche Bücherei in Leipzig. I’ve talked before about how Penguin transformed the market for paperback books in the UK in 1935, particularly by using non-illustrated covers, and how other companies reacted to this. Recent posts have looked at how Collins in particular reacted with the launch of their White Circle series. But the fastest company to react seems to have been Hutchinson. 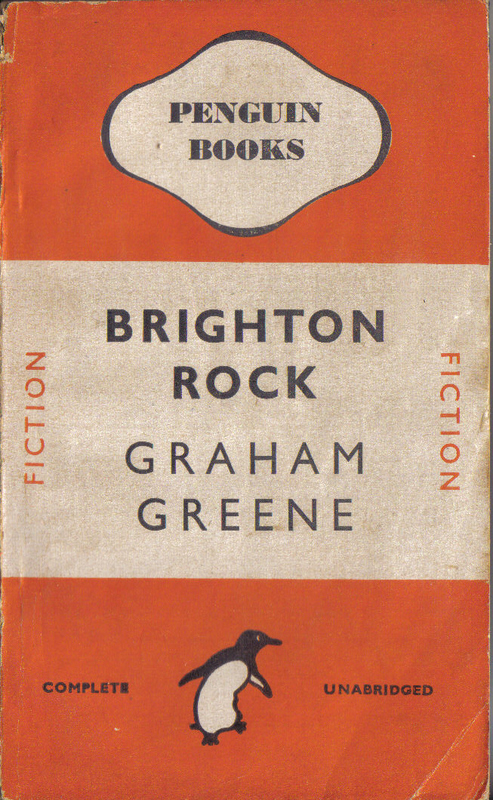 The first Penguins appeared in July 1935 and by October of the same year, they had competition in the form of Hutchinson’s Pocket Library, clearly copying some of the principal design features of Penguins – the same size, covers in similarly bright colours, dustwrappers in the same design as the books, and of course the same sixpenny price. Perhaps most important though, is the lack of any illustration on the cover. 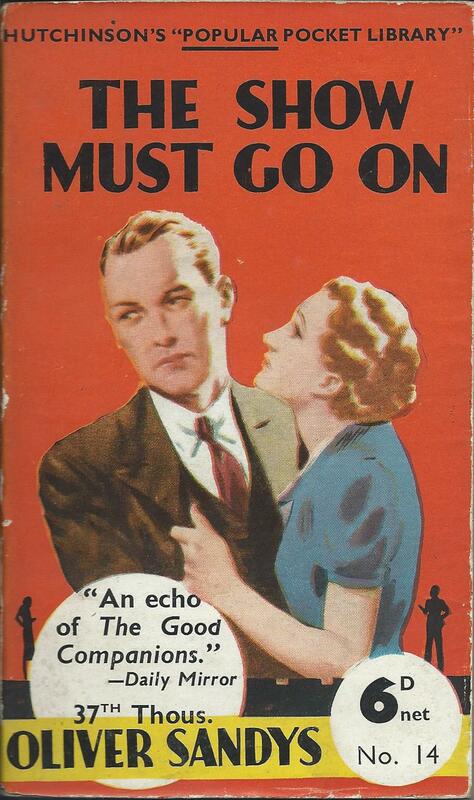 Hutchinson were an established paperback publisher, but their pre-Penguin paperbacks had illustrated covers. Within three months of Penguin’s launch, here they are launching a new series without illustrations. It seems to have been reasonably successful, running to around 75 titles before the outbreak of war and ran alongside various other series in different genres – the Hutchinson Crime Book Society published a similar number of books, competing with the Collins White Circle Crime Club as well as the Penguin crime novels, and a Hutchinson non-fiction series competed with Pelican. Pelican having launched in 1937 with a two volume book by Bernard Shaw, the Hutchinson non-fiction series launched in 1938 with a two volume book by H.G. Wells. All of these series had covers in a standard non-illustrated design, following the fashion set by Penguin. 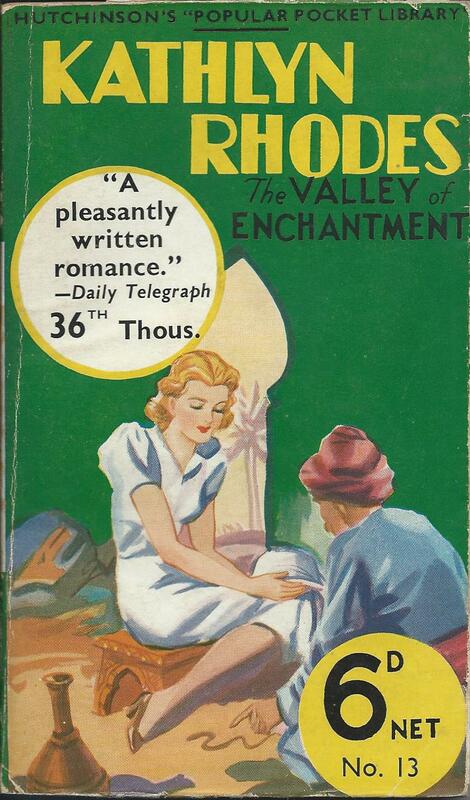 But there was also one other series – the Hutchinson’s Popular Pocket Library, a series of romantic novels. The insertion of that one word ‘popular’ distinguished it from the more serious Hutchinson’s Pocket Library, but the real distinguishing factor was that this series had illustrated covers. This comparison, more than anything, showed the effect that Penguin had had on the market. Illustrated covers now implied a lack of seriousness, or pure escapism. Novels with any literary pretensions at all, even crime novels, or in the case of Collins, westerns, had to have non-illustrated covers. But books that were happy to flaunt their lack of any pretensions, could use illustrations. The word ‘popular’ is being used here almost as a taunt – “we know this is escapist rubbish, but we don’t care – look, cover art!”. Henry IV Part I, as directed by Gregory Doran at Stratford is a riot. The production is visually stunning, the lines are beautifully and clearly spoken, the cast is dominated by Anthony Sher as Falstaff, but is superb throughout, and it’s overall a first class theatrical experience. Part II shares many of those same features, but created far less of an impression on me. The comic invention that provided a balance to the fast moving action and the weighty historical themes in Part I, seemed to be dragged out interminably in Part II. Having never seen, or even read, either play before, it seems presumptuous to criticise Shakespeare for this and it’s hard to fault the RSC production, but still that was how it felt to me. Sher’s Falstaff moves slowly and talks slowly but his comic timing is brilliant, as he comes up with more and more far-reached explanations for his cowardice and sloth. I loved the mock trial scene in the tavern where Falstaff first acts out the king and then Prince Hal, and his vain attempts to rise from his back on the battlefield were comedy gold. As a reveller in the tavern he was totally convincing, although the idea of him being allowed anywhere near a battlefield was absurd. It’s hard at times to take the battle scenes seriously, when Falstaff is wandering in and out of the action, trundling a little cart behind him like a toddler, and allegedly leading a ragtag company of 150 men. 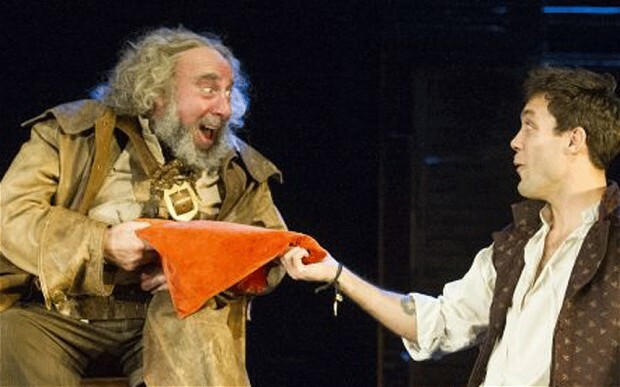 If Falstaff dominates the stage, there are still great parts for Hotspur, Prince Hal and the King, and fine performances by Trevor White, Alex Hassell and Jasper Britton. Hotspur is portrayed as rash and impetuous in the extreme, so that it’s not hard to imagine him a liability as a military commander, but harder to understand why King Henry would see him as a model for his own son. Overall though I loved the first play, and wasn’t quite sure what went wrong between it and the second one. Perhaps nothing except the curse of all sequels, that they try too hard to reprise the bits that seemed to go so well in the first. But the tavern scenes in Part II don’t have the freshness they had in the first part, and there’s less action to fill the play out and move it on. The waiter being frantically pulled in all directions provided some of the best moments in Part I, but by Part II he’s just dashing across the stage shouting ‘Anon’ in the search for a cheap laugh. And the scenes in Gloucestershire where Falstaff goes to recruit soldiers and finds only cripples and simpletons just left you with an uncomfortable feeling of mocking the afflicted. Still the play gets it together more for the end when Hal seizes the crown too soon and in quite a moving scene, has to backpedal in front of his father. Then having finally inherited the crown, he perhaps inevitably, but chillingly, renounces Falstaff, along with his old life. I never really had any interest in bookmarks. My interest has always been in the books themselves. But sometimes it’s difficult to collect one without the other. They tend to turn up together. Bookmarks left out of books don’t usually last long. But neatly pressed between the pages of a book, they can last as long as the book. That’s certainly the case with Tauchnitz bookmarks that regularly turn up within the pages of old Tauchnitz Editions, usually the paperback ones rather than hardbacks. Over the years I’ve found around 50 of these within books, as well as buying others separately, so I suppose I have to admit that I now collect the bookmarks as well as the books. It helps that most of the Tauchnitz bookmarks are just the right size to disappear inside the books. In fact they started off rather bigger and few of the early ones have survived. Luckily more of the later ones have, because they’re a fascinating piece of publishing history. 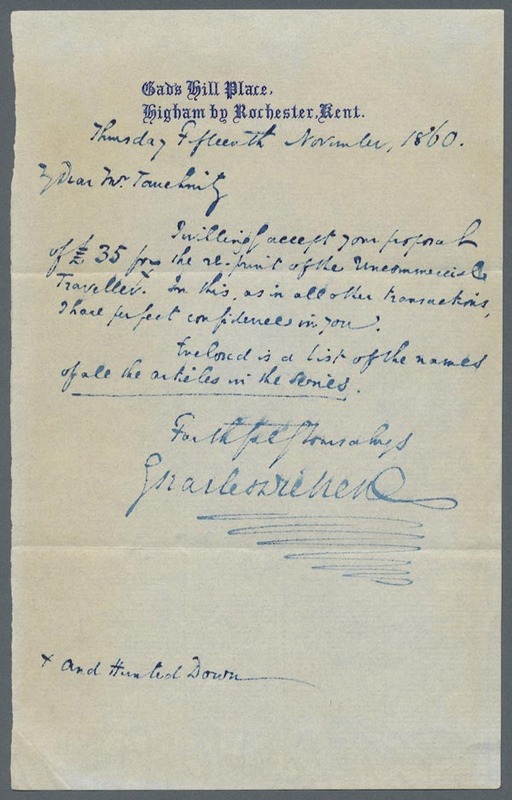 Tauchnitz had bookmarks printed probably every month for over 20 years, between about 1893 and 1914 and each month’s bookmark recorded the books issued that month. Between them they’re more or less a complete record of the 1500 or so books published in that period. Or at least I assume they are. If I’m right to say that they were issued every month, then there should be around 250 different monthly bookmarks. The Tauchnitz bibliography found surviving copies of only 56 of them. I’ve found quite a lot more, and heard from bookmark collectors who have others. That still leaves us a long way short of 250, but near enough to make it look as though they probably do all exist. I’d love to hear from anybody who has others. The design of the bookmarks remained essentially unchanged for 20 years, although there were minor changes in the colours and the details. That may seem surprising in these days of constant design changes, but the design of the books themselves had been largely unaltered from launch in1842 until the first major redesign in 1914 – a period of over 70 years. Although the early bookmarks list the books in roughly numerical order, with a short blurb about each one, they quickly became more selective about which books they wanted to promote the most. The choice of which book to list first is then evidence of which book the publisher saw as most prominent that month. The last regular bookmark probably appeared in July 1914, just over 100 years ago, but a further bookmark dated January 1915 swept up the final books published before the war effectively put a temporary end to the publishing of English books in Germany. They never reappeared after the war in this format, although there were still occasional advertising bookmarks issued, often promoting the works of one particular author. The final bookmark in the series?